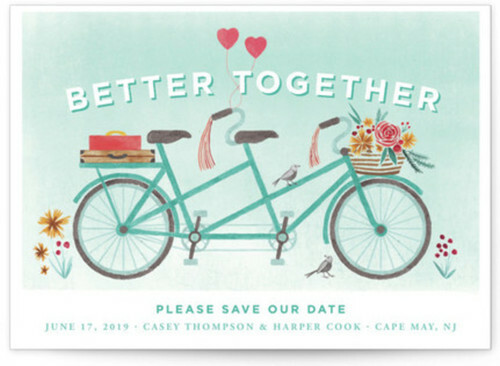 So you’re considering sending out save the date cards but you want to find the perfect card that fits your style and won’t break the bank. THE GOOD NEWS: We've scoured far and wide for the most whimsical winter wedding save the date cards and put together a list of the 10 best just for you. Want to bring a little green in for your winter wedding? 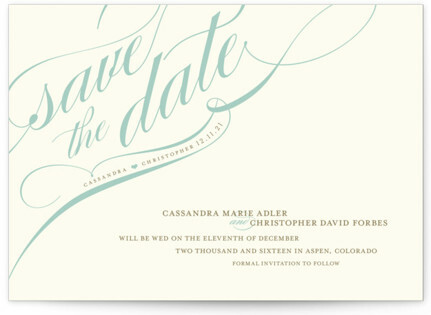 We present to you the beautiful pine forest watercolor save the date card. Want to ring in a happy New Year with a friendly reminder? Then this card is the perfect one for you, you can even include a lovely photo of you and your beau with this save the date. Just as every snowflake is unique, so is every couple. 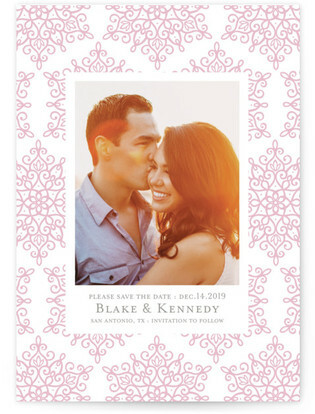 Save the date with this elegant snowflake themed card that everyone will be happy to catch. 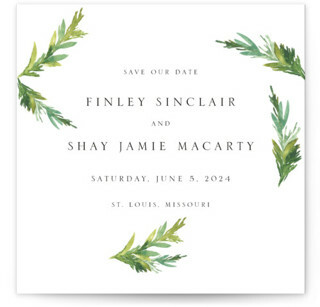 What better way to deck the wedding halls with love and pine branches than with this save the date card. Don't forget the mistletoe over the altar! A winter themed wedding just wouldn't be complete without having a little fun on the slopes. 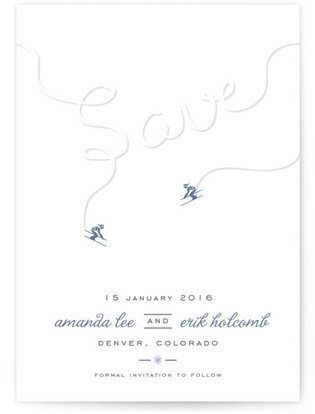 This save the date brings all the amusement and snow you will ever need in a card. With a Ho! Ho! Ho! We give you this holly jolly Christmas themed save the date card that can double as your Christmas card for all your friends and family. Want to share the love and celebration somewhere snowy? 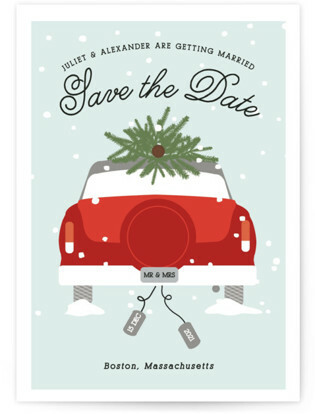 Then try this delightful winter wonderland save the date that will bring a smile to all who receive this card. Give your guests a subtle peek into your future winter themed nuptials! 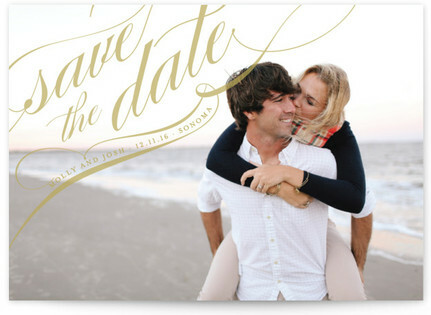 You can make your favourite couples photo the center of attention with this save the date. 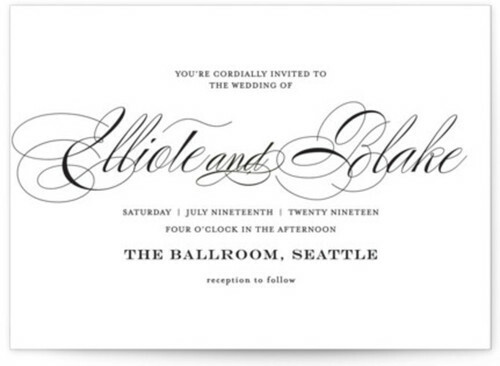 This lovely save the date is a classy choice for couples looking for something simple and to the point. The cursive design will add the perfect touch of blue for your winter wedding. 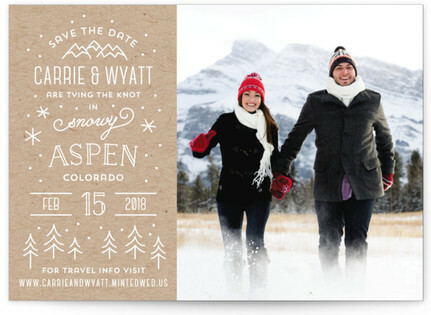 Have the perfect winter photo and want a save the date that can show it off? Try this card with beautiful golden cursive and your picture as the main winter theme. 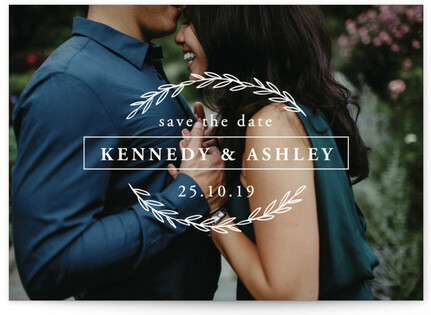 Even if this awesome list doesn't tickle your fancy, we offer a wide selection of other beautiful save the date cards you can choose from. 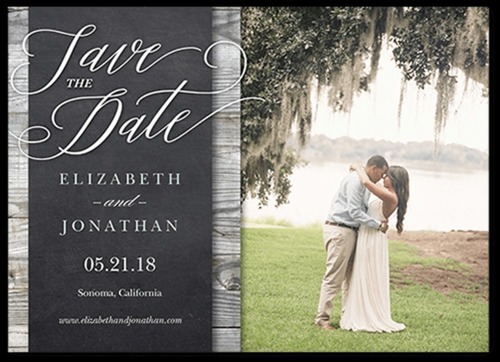 Not sure about which save the date card to choose? 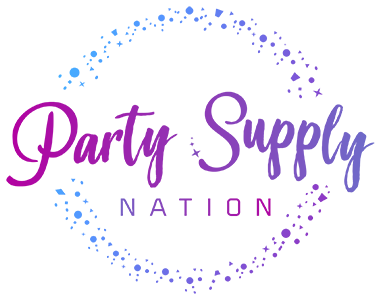 Come check out our Ultimate Save the Date Guide!